At Bunny Run we are fortunate to have 5 acres of our own secure private woodland to play in and we like to make the most of it. 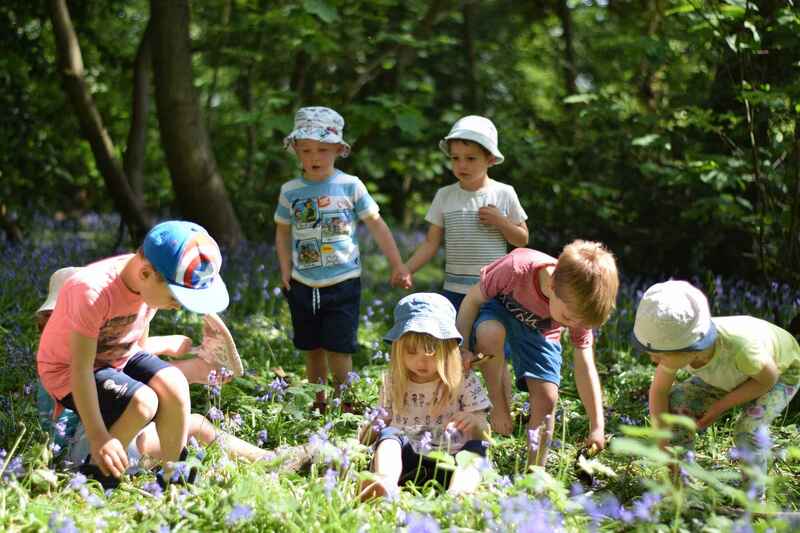 Our children spend nearly all of their day outside, wrapping up well in the winter and making the most of the woodland shade in the summer. We have sturdy quad pushchairs so that even our youngest babies can get outside and join in the fun exploring their own senses and the different textures of the natural world. Two of our staff have formal forest school qualifications and lead daily forest school activity groups. The children love discovering the natural world around us and learning about the woodland animals and insects, discussing where they live and how we should respect and look after them. By having the freedom to explore and play in the woods they learn at their own pace developing self confidence and self esteem. Forest school at Bunny Run is not just a walk in the woods, it is about making time to stop, listen, play and investigate the environment that surrounds us. It allows our children to reflect on who they are and what they can accomplish whist developing a healthy understanding of the world around them. 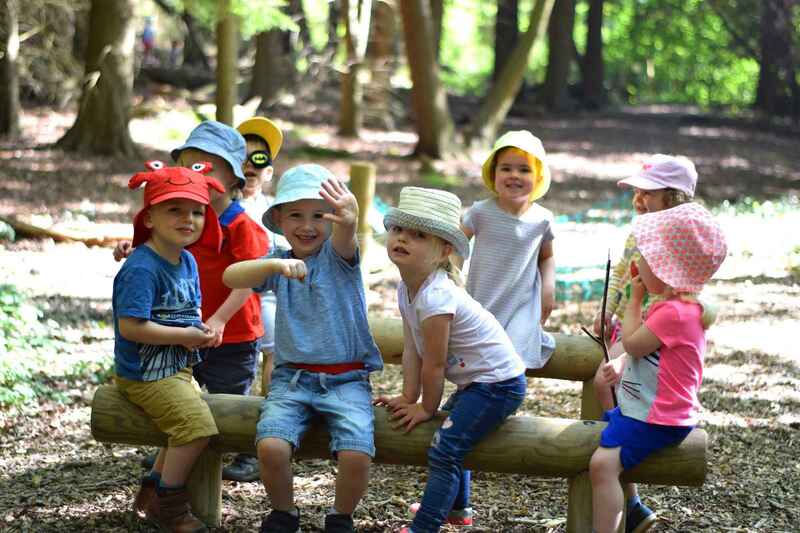 At Bunny Run Childcare we follow the EYFS (Early Years Foundation Stage) curriculum which is a statutory framework developed by the Government for the learning, development and care of children from birth to 5 years old. Teaching is through games and play and progress is measured through observation of play. For more information please have a look at this Parents Guide to the EYFS. Our staff are either qualified Early Years Practitioners or are training for their professional qualifications. 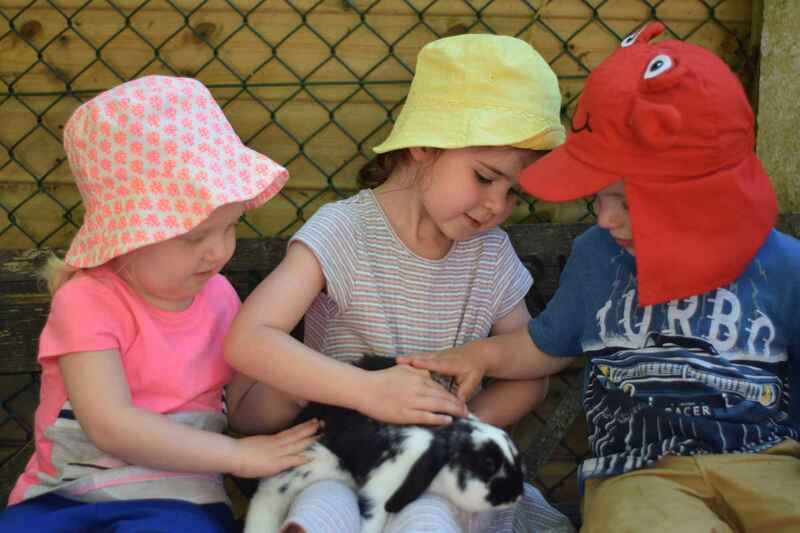 Each Bunny Run child is allocated a Key Person member of staff who will build a strong relationship with the child and their parents or carers. It is the Key Person who creates the child’s learning journal which consists of observations, photographs, videos and progress checks. Through this learning journal areas of strength or areas where additional support is needed can be identified. At Bunny Run we use an online system for our learning journals called EyLog. Through EyLog parents have secure access to their child’s learning journal and can comment on observations or share their own to contribute to the overall picture of their child. At Bunny Run we have a freshly made hot lunch and buffet tea delivered daily by Zebedees. Our babies enjoy Zebedees organic purees. The meals are not only healthy and balanced to meet the nutritional requirements of under 5s but they are varied and appealing to even the most fussy of eaters. In addition, the menus cover a range of dietary requirements to ensure all children receive a well-balanced meal regardless of cultural diversities or medical requirements. Bunny Run Childcare is completely nut-free. We have been awarded the top food hygiene rating of 5.